Mr. Hollingsworth received his Bachelor of Science degree from Texas Christian University in Ft. Worth, Texas in 1990, where he earned distinction in the study of political science and finance and was a faculty appointee to the Student Leadership Council - all while working full-time. In 1995, Mr. Hollingsworth earned his Doctor of Jurisprudence from Rutgers University School of Law in Camden, New Jersey, where he won outstanding brief in advanced moot court, was a Dean's Scholar and on the Dean's List, and earned top honors in the study of advanced labor law. Following law school, Mr. Hollingsworth clerked for United States Magistrate Judge William F. Sanderson, Jr. Prior to joining Laney & Bollinger, Mr. Hollingsworth had his own firm, was a partner at Travis, Calhoun & Conlon, the law firm of Godwin Gruber, LLP, and the Dallas office of Glast, Phillips & Murray, LLP. 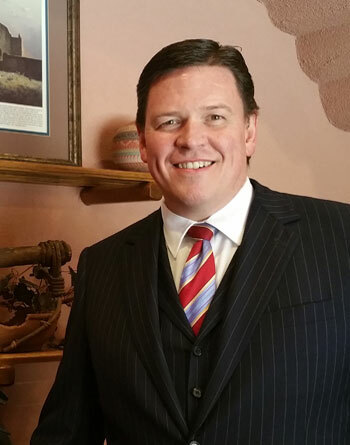 Just after his clerkship, Mr. Hollingsworth was an associate with the law firm of Haynes & Boone, LLP, and a Senior Associate at the Dallas office of Bickel & Brewer, a national litigation boutique. Mr. Hollingsworth is a member of the State Bar of Texas and is licensed to practice in front of all the federal and state courts in Texas. He is also licensed to practice before Fifth Circuit Court of Appeals and the United States Supreme Court.